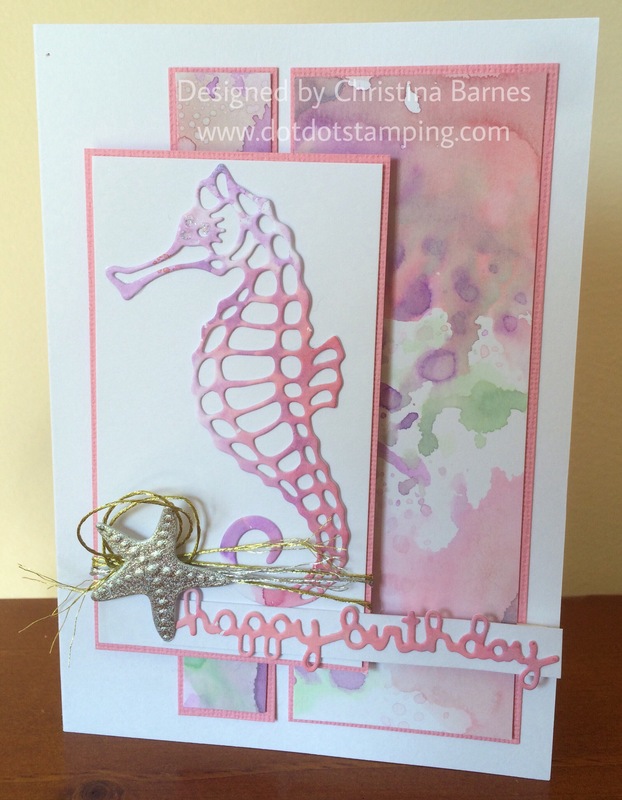 I love Seahorses! So of course I love the new Kaszazz Seahorse die. This second card uses the sketch from the current challenge at Freshly Made Sketches. 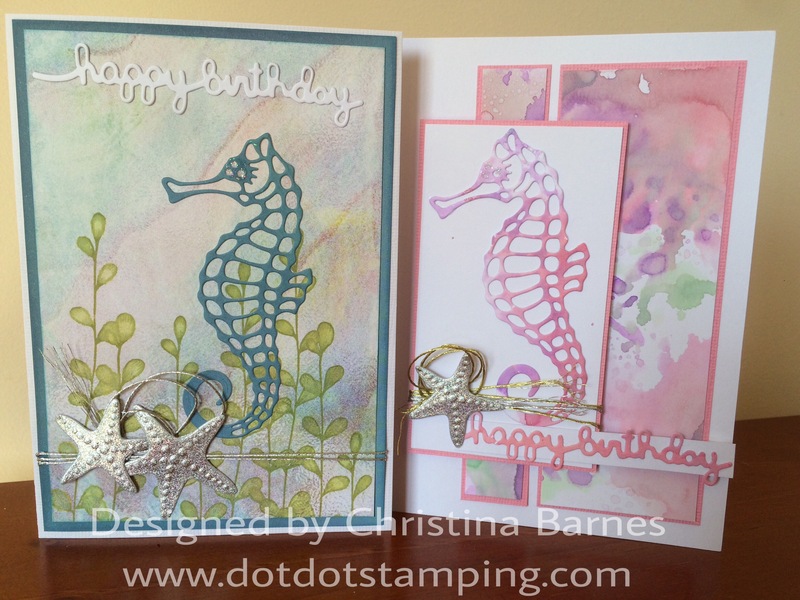 Two fabulous cards, those seahorse dies are winners. 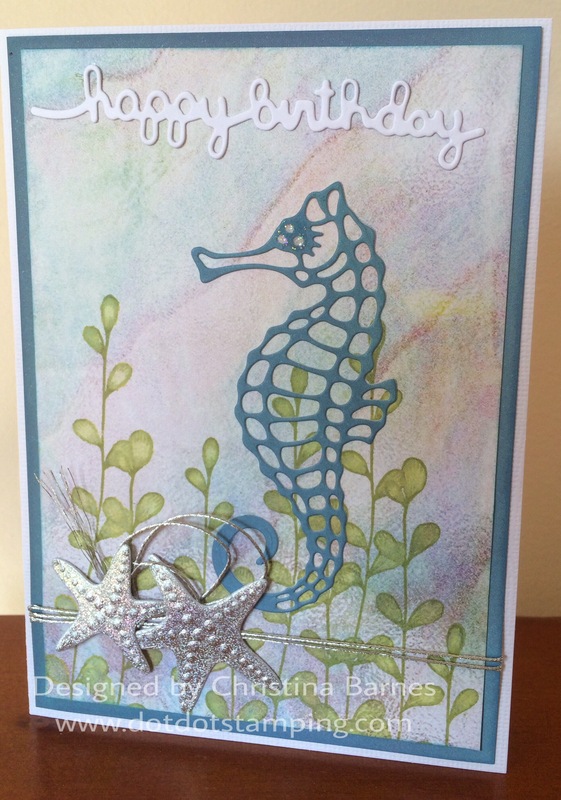 I love how you’ve paired that seahorse with those softly patterned papers – the starfish is a great embellishment! Thank you for playing along with us at Freshly Made Sketches.